They provide Internet connectivity by fixed wireless, mostly in regional or rural areas where mainstream telecommunications companies don’t bother going. WISPs connect to a fibre optic link at a central point (this is known as “backhaul”), install a series of fixed wireless receivers and transmitters on hilltops or high buildings, and bounce the wireless signal across a series of these sites to a cluster of end users in a rural area. Here in New Zealand there are about 30 WISPs. Most of them operate in a single region. Nearly all are privately owned businesses run by an owner operator who is active in the business day by day. This makes them very accessible and responsive in terms of their customer service. There are no interminable waits for a call centre to answer in Asia; your local WISP is just down the road..The services, speeds and prices WISPs offer are highly competitive with urban suppliers. Often the service quality is indistinguishable from the fibre-to-the-premises offered in big cities. 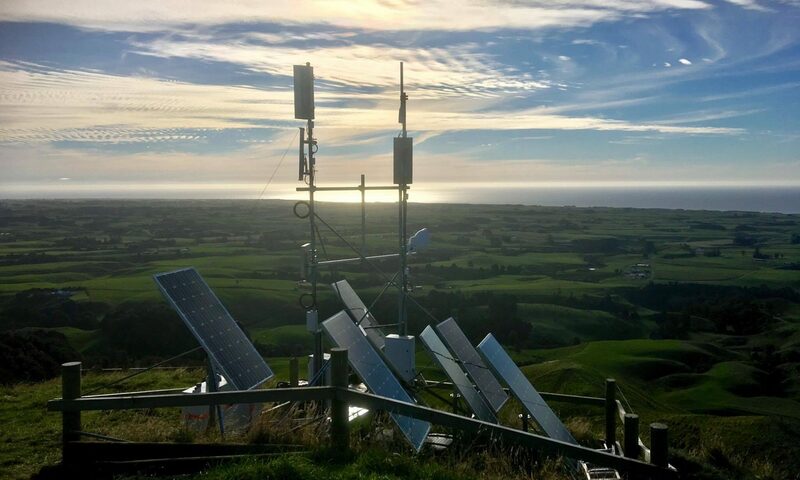 And WISPs are as good as anyone for reliability – for example, during the Kaikoura earthquake in 2016 the local WISP, Amurinet, stayed on line uninterrupted, keeping the community connected during the recovery phase while every other fixed and mobile service provider went off line. WISPA-NZ – or more fully the Wireless Internet Service Providers Association of New Zealand Inc – was established in January 2017. Our purpose is to be a unifying point for the WISPs, liaise with central and local government, provide a collective voice for members, negotiate collectively (eg for joint purchase or leasing of wireless spectrum) and do whatever else the members collectively decide. For example, we have made representations to Radio Spectrum Management about future spectrum policy, submitted to the Commerce Commission’s review of backhaul pricing, and entered negotiations with several parties about commercial arrangements that will advantage members’ businesses and customers. Issues continue to arise. Examples include collective liaison with various Retail Service Providers, the impact of the new legislation enabling lines companies to run fibre across existing power corridors, and the business model of the future for WISP businesses. WISPA-NZ has about 20 member companies. Details of these can be found on our Members page. Our Certificate of Incorporation is here.